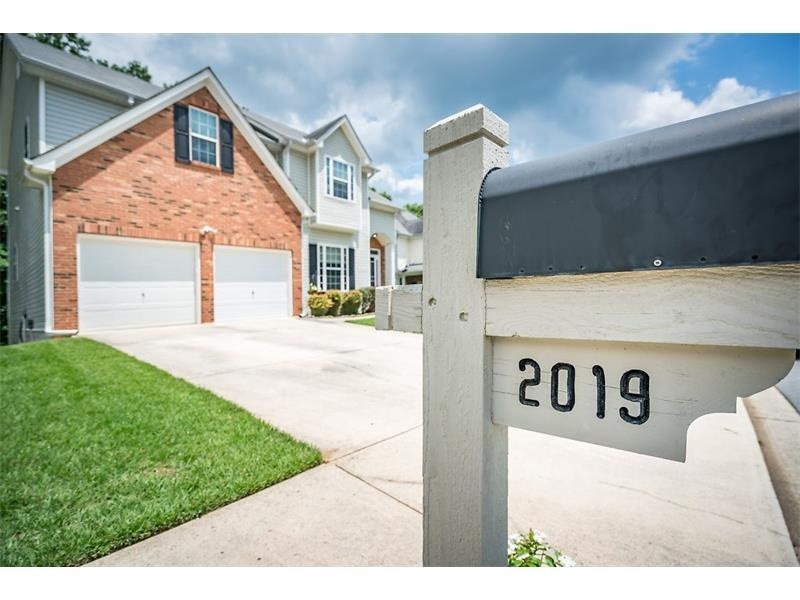 Take a close look at the top three 2019 real estate trends and make your plan for the new year—whether you're buying, selling or staying put, Tamara can provide answers to all your real estate questions. The 2018 real estate market started out hot but cooled off by midyear. With mortgage interest rates creeping up again, the big question is what does 2019 hold? While last year, the low inventory of homes for sale and strong demand by buyers contributed to a hot market with home prices rising fast. This year, however, may be a different story. Home prices are estimated to rise in 2019, but at a much slower pace. But there are still eager buyers in the market, and many of them are looking for houses. So what should you do about this? Be aware of your competition. With less offers to go around, you want your home to really stand out from similar ones in your area. Prepare your home for potential home buyers. If you’re going to buy a home in this expensive market, you absolutely must find out how much house you can really afford. Meet with a top mortgage lender and figure out a monthly payment your budget can handle. Commit to staying within that budget amount. Don’t rush into a home purchase that doesn’t make financial sense for you no matter how much pressure you feel watching competitors pluck good homes off the market. You don’t want to mess up your finances! • Keep saving. If you stay patient and motivated, you can save for a down payment by this time next year. Let Tamara show you some of the ways to save. • Sacrifice some wants. If you can’t afford to buy the house you want, be willing to give up some “nice-to-haves” for your “must-haves.” Find the least expensive home in the best neighborhood you can afford and you can upgrade as your income and savings increase over time. • Expand your search. What if the location where you’re planning to buy is what’s busting your budget? You might be surprised at the gem you can find in a less popular neighborhood. Let Tamara help you find a home that fits your budget and lifestyle. Buying a home can be stressful but contact Tamara for her HomeBuyer Guide which will streamline the process and take the worry out of buying a home! She can help you think through all the important parts so you can rest easy when your dream home is officially yours. Call it the seven-year itch. Mortgage interest rates are on the rise after years of being at a standstill. Interest rates are projected to increase to an average of 5.5% for a 30-year mortgage by the end of the year. The increase basically means more people are willing to spend and borrow. Still, expect things to be a little different this year as buyers and sellers adjust to these changes. In a nutshell, plan for your house to be on the market a little longer and prepare to possibly receive fewer offers. A mortgage is a big commitment, and adding higher interest rates to the mix will make many buyers pause. To know what is happening in your neighborhood, contact me for a free market report. Even though mortgage interest rates are the highest they’ve been in a while, they’re still relatively low. If you’re not buying with cash, be smart and go for a conventional 30-year fixed-rate mortgage. That way, you know exactly what your payment will be over the life of the loan. Move aside, baby boomers and Gen Xers! Guess who’s taking the over the homeownership? Yep, you better believe it. Millennials are busting out all over. They’re getting older and finding stable careers. Their household income has increased to $88,200, and they’re looking to buy their first homes in middle and upper-middle class neighborhoods. This works out perfectly for them as more baby boomers are retiring and downsizing. Next year, millennials will lead the way in number of mortgages, accounting for 45% of the market. They’ll be followed by Gen Xers at 37% and baby boomers at 17%. • Easy online shopping. The home search starts online for millennials, so you need to make the best possible impression on the internet. Make sure your house is presented in high quality photos, and, for extra measure, consider using a drone to take aerial video footage. • Quality over size. Yes, square footage matters. But millennials are more concerned about how sustainable and usable each space is. Get rid of your junk so they can visualize a bright future in your home without your stuff there. • Location. A lot of millennials are looking for homes in 18-hour cities like Nashville, Tennessee, or Austin, Texas, that offer big city life at a more affordable cost of living. If your home is in a walkable area with access to public transit, expect millennials to come knocking at your door. • Low-maintenance lifestyle. Millennials are used to living in the age of high-tech advances and Amazon Prime. They’re looking for energy-efficient homes with smart appliances. • Know what you want. Decide what you absolutely need in a home. If you’re married and house hunting, you and your spouse need to agree on must-haves. Compare your individual lists and combine them to use as the foundation of your home search. • Write a letter. Sending a personal story to your seller might be just the thing that makes you stand out from similar offers. If they have a deck or landscaped backyard, tell them how you envision using the space. • Hire an experienced pro. Last year, 90% of millennial home buyers used real estate agents to purchase their homes. Think they’re onto something? You bet! Don’t try to buy on your own. As an Accredited Buyer Representative, Tamara can assist with the home-buying process, so it is smooth for everyone involved. With most housing markets at low risk for a downturn, experts predict home prices will continue to rise for the next couple of years, with annual increases of 2–6%. Great for sellers! If you sell your house before 2020, you’ll likely still make a great profit. Continue to monitor how much your home is worth to make sure your equity (what your home is worth minus how much you owe on it) is going up. For a free home valuation, please contact Tamara. • People are spending money. • There’s a low unemployment rate and new career opportunities. • Fewer buyers are using interest-only home loans (aka the worst loans possible) that allow you to pay just the interest each month and not the principal. • Millennials want to buy. Even though buyers in 2019 may be choosy, determined ones might be willing to consider neighborhoods that don’t have easy access to highways or aren’t in close proximity to a big city. If you think you live in an unpopular neighborhood or believe your home isn’t what buyers are looking for or tried to sell before without success, think again. Now may be your perfect time to sell. To find out the latest market conditions in your area, contact Tamara for all your real estate needs. Call 805-750-6577 or email tamara@calltamara4homes.com today!